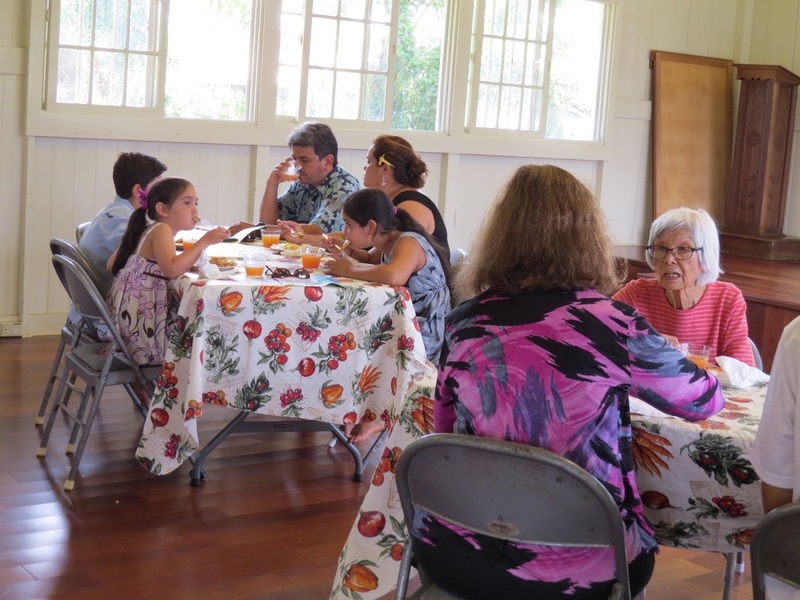 Immediately following the worship service on the first Sunday of every month, parish volunteers and our keiki (children) serve up a full pancake breakfast in the Parish House. 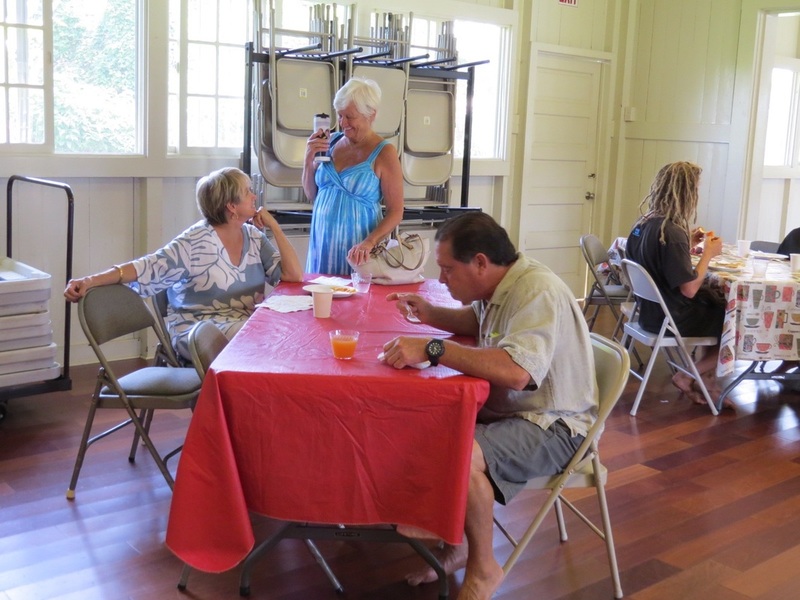 Our Pancake Breakfast feast includes pancakes (sometimes with blueberries or chocolate! ), meats, fresh fruit and more. 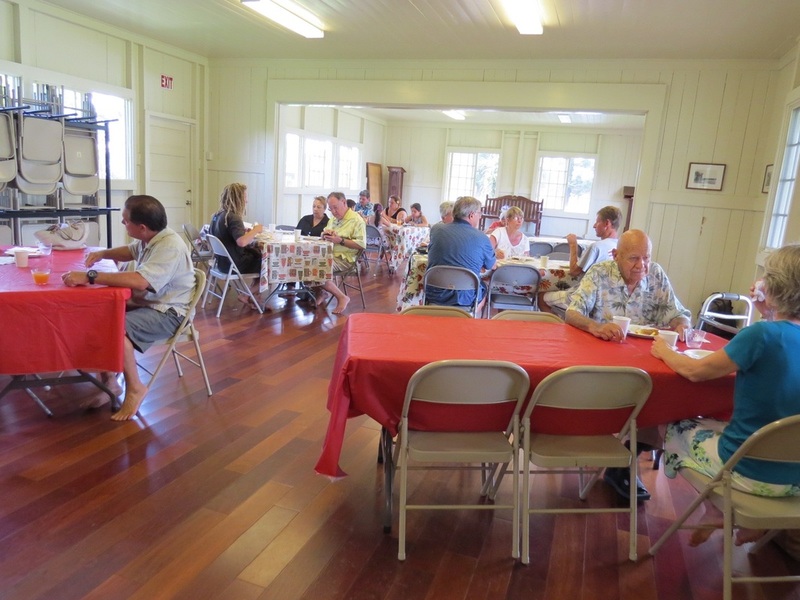 Come join us and celebrate the spirit of aloha with our friendly congregation!